Autumn is nearly over (where I live anyway). The trees are virtually bare and the temperatures just above freezing most days. Frosts are a regular start to the day. 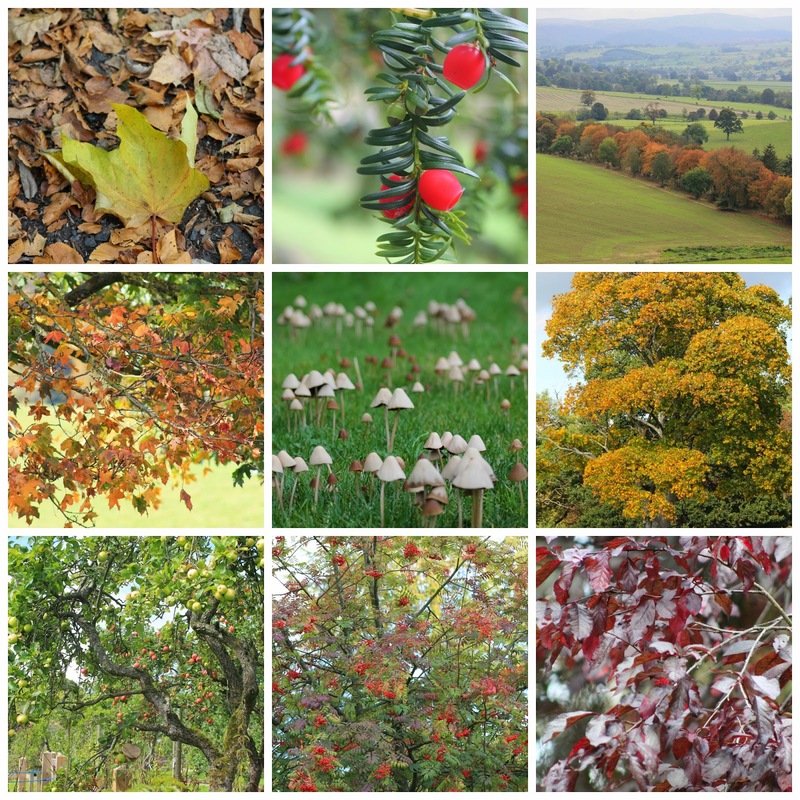 So I thought I would put together a collage of my favourite pictures from this autumn as we head into the dark and grey of Winter. Beautiful! We haven't yet had a frost - it is mild here but wet. Gorgeous pictures!! I love the red berries (or are they flowers?) (2nd pic) and the country-side view (3rd pic) What an amazing place you live in! Thank you :). The red berries are a covering for the seeds of a yew tree, they are called the aril. The countryside picture is taken a few miles from where I live. I love the toadstool picture! These pictures really compliment each other so beautifully. I am a bit jealous of your impending winter! Have a great weekend. I love autumn colours, but for us all is white this morning as old man winter has payed us a visit in the night.